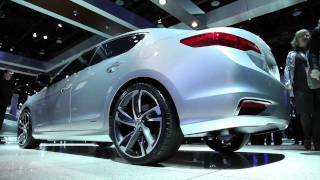 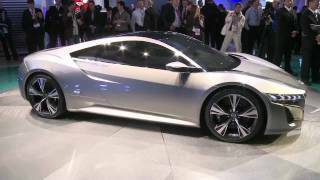 Acura unveiled the Acura ILX Concept at Detroit Auto Show 2012. 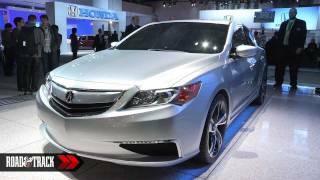 The Acura ILX Concept is a preview of the upcoming luxury compact sedan from Acura in Spring 2012. 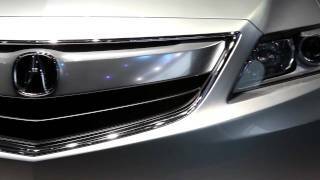 To be positioned as the gateway to the Acura brand, the ILX will feature three different powertrains, including Acura's first-ever gas-electric hybrid. 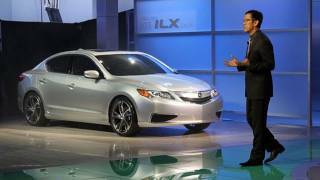 The lineup of ILX models will include an entry-level model powered by a 2.0-liter inline 4-cylinder engine; a high-performance model with a 2.4-liter inline 4-cylinder engine paired with a six-speed manual transmission; and a 1.5-liter gasoline-electric hybrid powertrain, Acura's first-ever hybrid offering.